Secret’s out!! Italian food is my favorite! Aside from tacos and asian food lol. 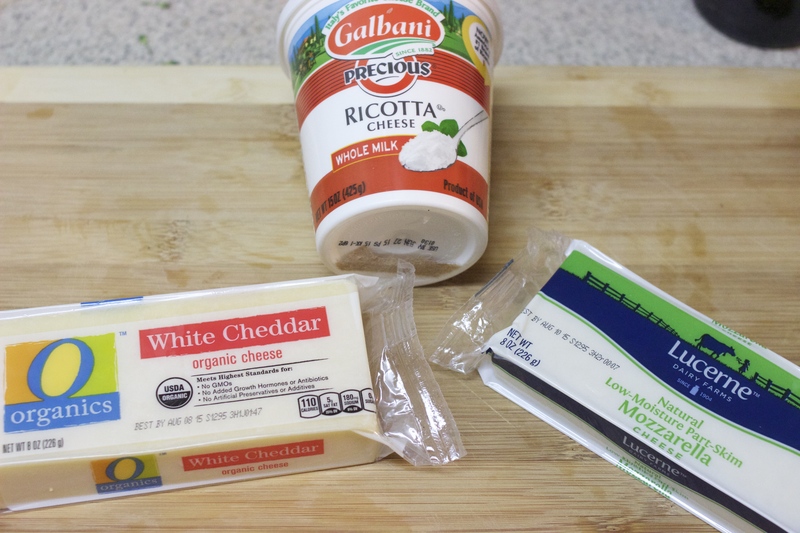 So for this recipe I wanted to put a twist on the classic cheesy to die for dish: LASAGNA! 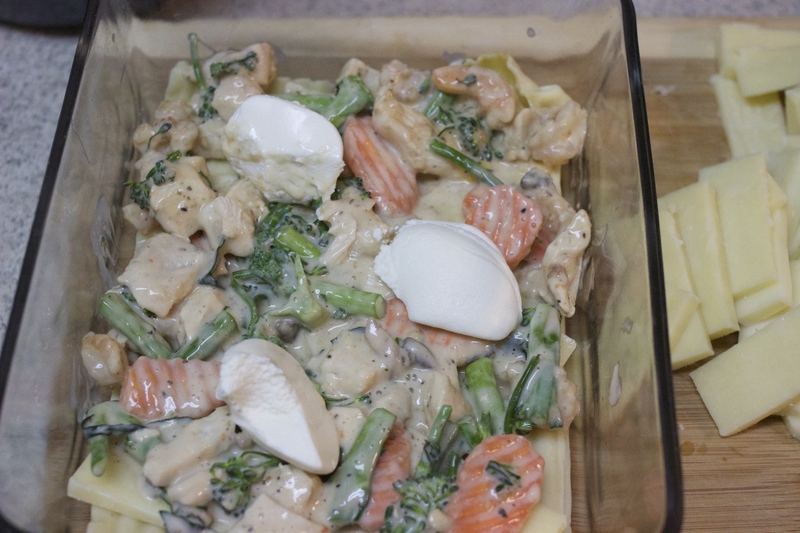 For this dish I incorporated two different meats using chicken and shrimp and added broccolini, carrots and mushrooms to compliment the creamy cheese sauce, anyways, LETS GET TO IT! 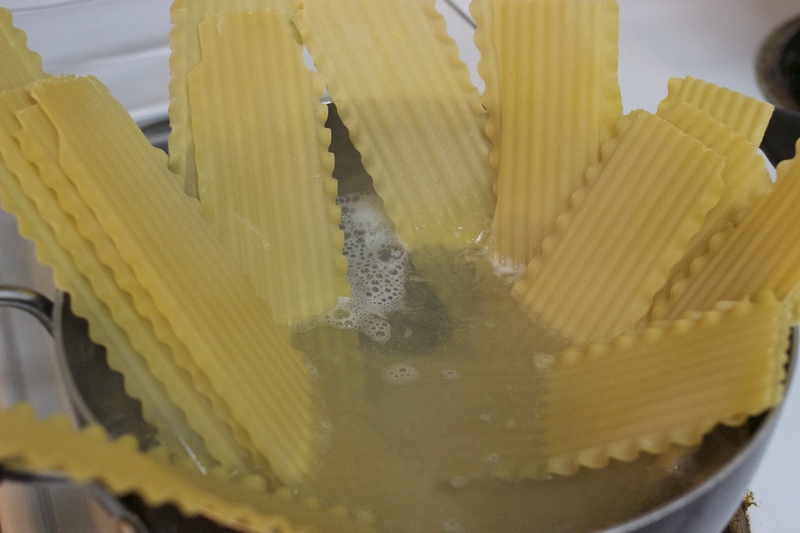 Begin to boil your lasagna noodles in boiling water in the large pot until cooked al dente. Drop them in once the water is boiling hot. 2. 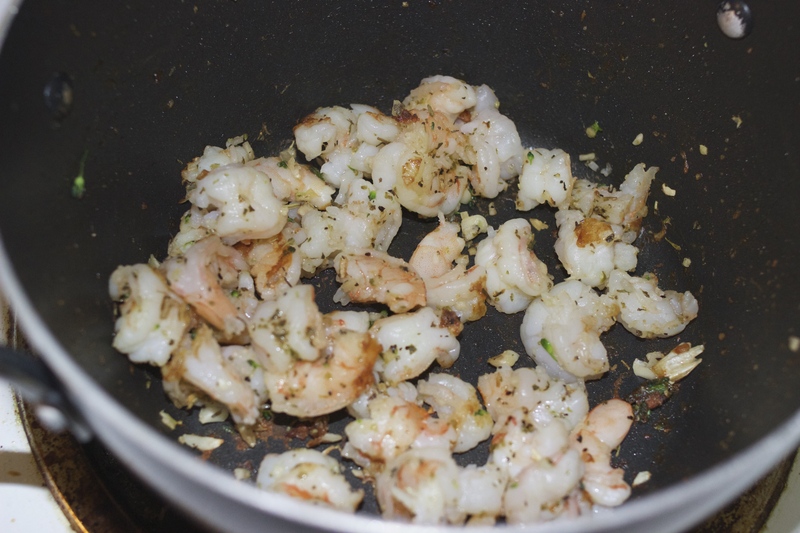 While your noodles are cooking, prepare your chicken and your shrimp to be seasoned. In the medium pot with all of your spices, cook your pre-chopped chicken and shrimp locking in the flavors with the spices. Once the noodles are done, rinse them out with a strainer and run them under cold water. This ceases them from sticking to each other. Also, Pre-heat your oven to 350 degrees, the party is just getting started. 3. 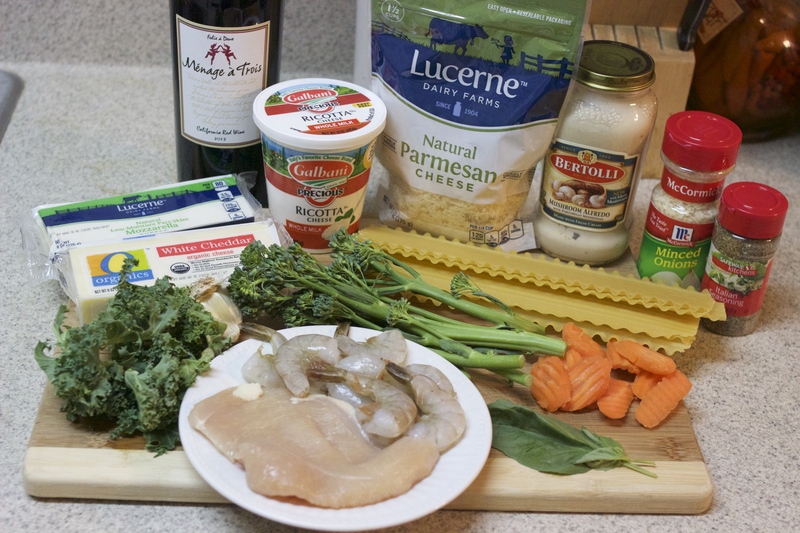 After both of the chicken and the shrimp are cooked you want to bring them back to the chopping block and mince the pieces even smaller to add to the lasagna. Once the meat is cut down its time to chop the veggies (make sure you wash your cooking board or do the veggie step first). 4. 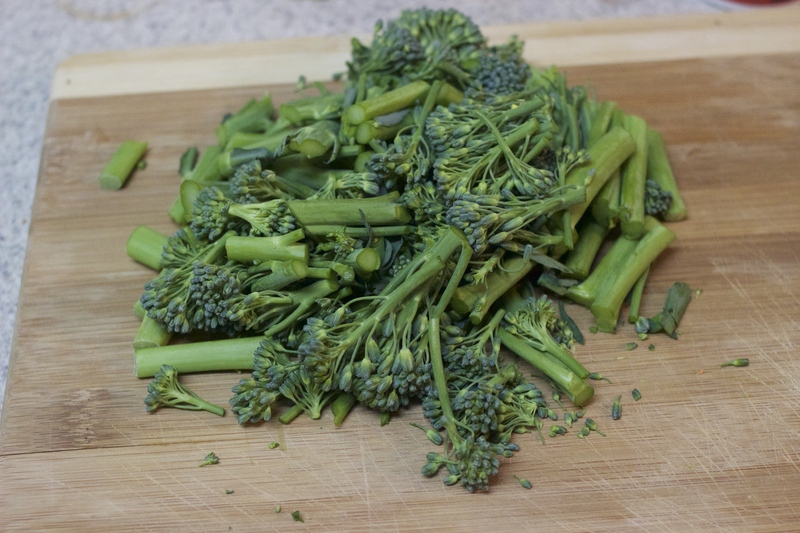 Begin by cutting your broccolini and, if you didn’t already buy the carrots cut up, you can do that now too. 5. 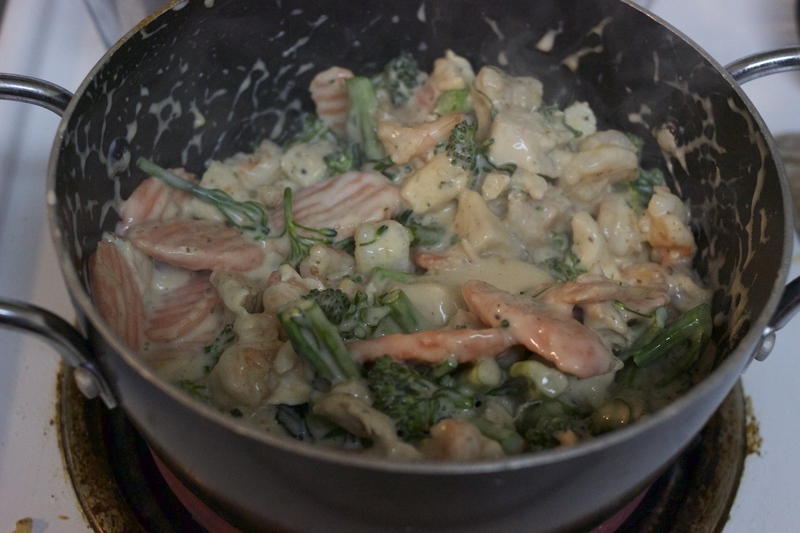 In the medium pot, bring 1 jar of Alfredo sauce and all of your chopped veggies, chicken and shrimp into the pot and let the flavors fuse together by simmering on medium-low heat. 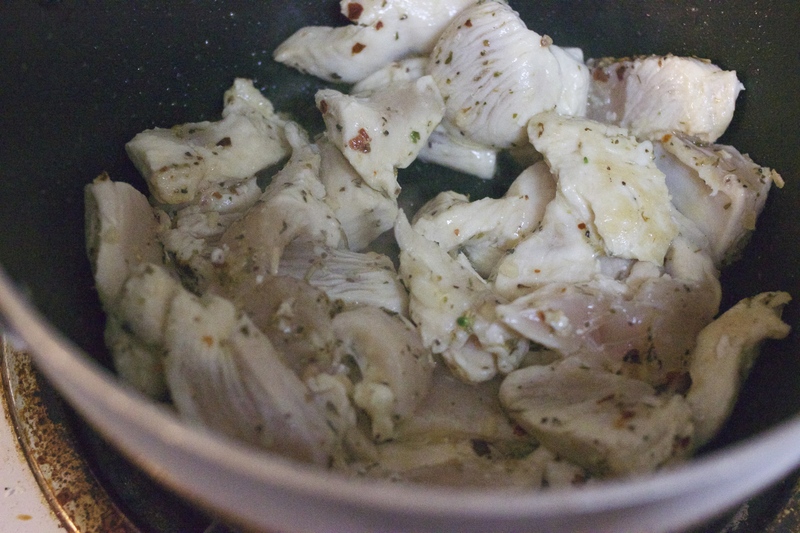 For extra spice, add more black pepper or crushed red pepper. 6. 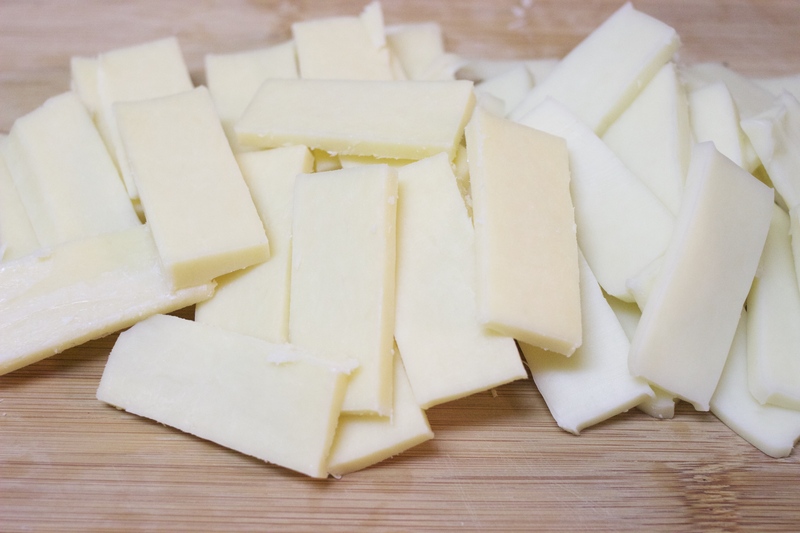 Now prep the cheese by cutting the blocks into slices. a. noodles + sauce/ meat/ veggie mix + cheese. 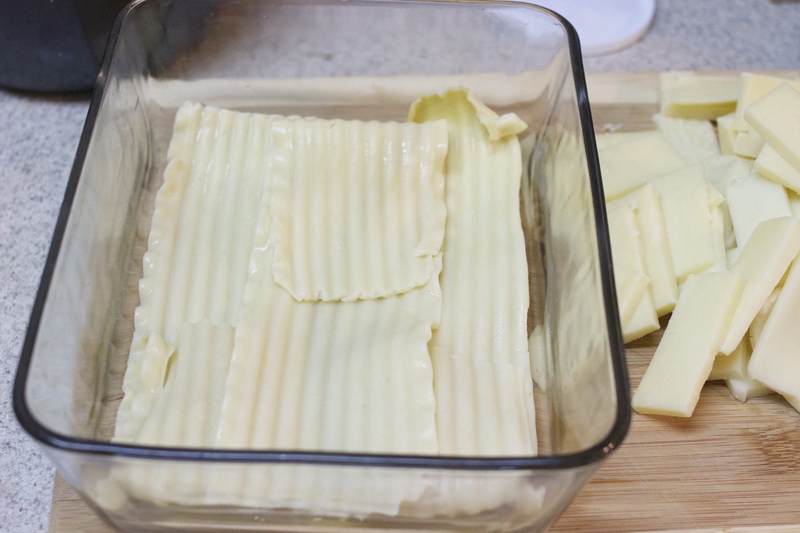 Continue until the top layer is noodles and cover that with cheese and sauce to not dry out the noodles in the baking process. Now it’t time to bake for 30 minutes. I know. It’s long but its SOOOOO worth it! Once you remove your lasagna, let it cool. If not it will be very loose and messy on your plate, I know your hungry but trust me! In the meantime make your salad and enjoy dinner, until next time! Previous Post When life gives you lemons, make a cocktail! Such a great idea. Craving this now!! 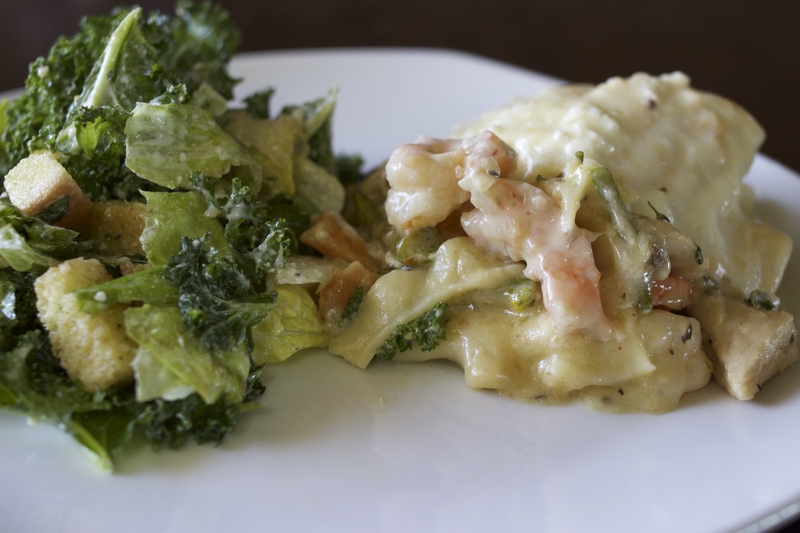 If you love a chicken and shrimp Alfredo this baked version is SO amazing. And great the next day! Thank you! Let me know how it turns out!